The Samsung Galaxy S7 Edge features state of the art technology in a form that has set new design standards for smart phones. In particular, the low profile curved glass screen is truly at the leading edge of today’s screen manufacturing technology. So, if you should find yourself in a situation where you need to have a Galaxy S7 Edge screen repair, it is reassuring to know that Cheap Mobile Repairs can provide screen repair or replacement of the highest quality and with a very fast turnaround time. Often, we can provide Galaxy Edge S7 screen repairs in Sydney in under 90 minutes. We can help you with all manner of Galaxy S7 Edge screen repairs, and you can be certain of guaranteed quality in parts and workmanship, as customer satisfaction is our number one priority. Our expertise when it comes to Galaxy S7 Edge repairs is not limited to just screen replacement. Our trained technicians are fully equipped to handle other Galaxy Edge repairs such as dealing with loud speaker repairs, earpiece repairs, charger port replacement, and front or back camera repairs. We can also fit camera covers and back cover replacements. If you find that the battery of your Galaxy Edge is taking too long to charge or suffering from inadequate battery life, we can undertake a proper analysis of your battery’s health and ensure that its operating at peak performance. If battery replacement is required, we can attend to that quickly. Our extensive experience with Samsung Galaxy S7 Edge repairs means that we can quickly identify the cause of the problem, fix the issue in the fastest possible time, and in saving time, we can save you money. 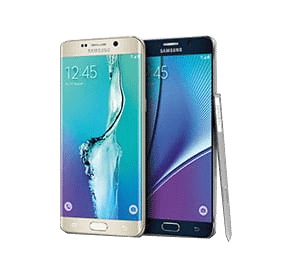 This is why Cheap Mobile Repairs is well known for offering the best price Galaxy Edge repairs in Sydney. For your piece of mind, we offer a 90-day’s warranty on our Galaxy S7 Edge repairs so you can rest assured that our skilled technicians use only the best parts and follow strict quality control and testing of all repairs. Cheap Mobile Repairs are centrally located for Galaxy S7 screen repairs in Sydney at Suite 4, 63-65A Burwood Road, Burwood, NSW and we are close to transport and Burwood Westfield shopping centre. Feel free to call us on 02 9747 8880 to find out more about Samsung Galaxy S7 Edge screen repairs. Experienced: We understand the need for skilled and knowledgeable technicians and nothing comes without experience. Our team of excellent technicians have the experience to repair your mobile in the least possible time and in the most effective manner. No matter whatever the issue is there in your mobile, our experts possess the excellence to bring back the functionality. Well Versed in Modern Technologies: There is no doubt that the advent of modern equipment has made our life easier and is the reason why we make use of high end equipment as well as the experts who possess the proficiency to make use of these equipment. We believe in leaving no stones unturned in order to get maximum client satisfaction. Comprehends your Need: We have always focused in gaining client satisfaction and this is the prime reason why we only emphasize on comprehending your requirements in order to surpass your expectation through our service. 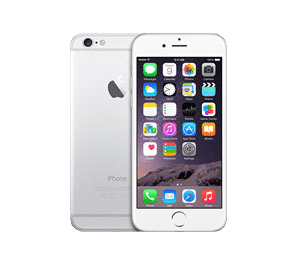 We listen to you and the problems you are facing and depending on that we take the very next step of analyzing to make sure you get back a functional phone.